A personal favourite of mine, the dystopian genre covers all of those films set in a structured, uncompromising society — the opposite of a utopia. More often than not, the society in question is a less-than-flattering one, or one which favours the minority at the expense of the majority. These films tend to portray suppression in one form or another, with freedoms and rights being brought into question. However this is not always the case, and at times the dystopian aspect is used purely as a setting, rather than the focus of a film. There are a number of variations on the dystopian setting: it covers anything from a government-ruled society to one dominated by otherworldly beings (or aliens) to a post-apocalyptic civilisation — a word I use lightly. I am taking the basis of a dystopia in its simplest form — that is, the one I described in the first sentence of this post. There will not be any zombie-related films in this list (even though the majority of zombie films are set in some sort of dystopian society) as I think those films deserve a list of their own. I am going to follow a similar format to the one I used in my mystery genre toppers post. With that settled, I reckon it is time to get started. A quick note: I will be covering the newer, 2012 version of Total Recall, because I have not seen the original 1990 version. However, based on comparisons between the two, I am sure the original version is just as, if not more, deserving to be on this list. Len Wiseman’s remake of the 1990 original, Total Recall stars Colin Farrell as Douglas Quaid, a factory worker who visits Rekall — a place which allows its customers to live the life they wish for a period of time, but in their own mind — only to discover that his ‘desired’ life is his actual one. Thereafter, Quaid goes on a crusade to search for answers and is joined by a familiar woman, Melina (Jessica Biel), whilst at the same time being pursued by the woman he believed to be his wife, Lori (Kate Beckinsale). The story is set in the year 2084, in the aftermath of a worldwide war which has destabilised the earth. There now exists only two forms of civilisation — the wealthier United Federation of Britain (UFB) and the more desolate Colony (Australia). The only form of transport between the two is a massive elevator which travels through the Earth, known as the Fall. Intricate story: Although the film begins telling one story from the perspective of Colin Farrell’s character, after the Rekall scene, the whole outing essentially turns upside down with the focus now on the same character but in completely different circumstances. The fairly quick plot twist works well for me, as it allows the rest of the film to be primarily about piecing together earlier nonsensical snippets of information. Even though towards the end the film becomes a more stereotypical action flick, Wiseman does an excellent job in the first hour or so in achieving the correct challenging-yet-understandable balance, preventing the plot from being either too complicated or too simple. Ambiguity: There will be a spoiler in this paragraph, so beware. In the cinematic version of the film, after Quaid and Melina embrace at the end, Quaid glances at a massive Rekall sign which beckons in the distance. On seeing this, I instantly thought that everything after the Rekall scene earlier in the film had all happened in Quaid’s mind. Of course, it is equally likely that Quaid staring at the Rekall sign is merely him acknowledging it saving him (without Rekall, he would still be completely unaware of who he really is). However, in the extended director’s cut, there is no tattoo on his forearm which had been placed there in the earlier Rekall scene. This appears to hint that, since the tattoo is gone, his present existence cannot be a true one, therefore it is an implanted memory and he is still sitting in the Rekall chair. Ah yes, I rather like ambiguous endings. Awesome action: This is a straightforward one — the action sequences in Total Recall are brilliant. Combined with very impressive visuals, the fight and chase scenes are quick-paced, well-choreographed and exhilarating. Farrell has always been a solid action star, as has Beckinsale, meaning it comes as no real surprise that the quality of action in this film is pretty high, and that is not to mention Wiseman’s previous work with Beckinsale in Underworld and his dip into the Die Hard franchise. Perhaps not better than the original (although that is still up for debate with me), Total Recall offers up all the necessary elements required for a very entertaining action film with an intelligent and well executed plot. Released in 2010, The Book of Eli stars the ever-reliable Denzel Washington, Mila Kunis and Gary Oldman, and is directed by the Hughes Brothers. Washington plays a lone man, Eli, whose personal mission is to travel across a post-apocalyptic America in order to protect and deliver a special book to a safe place, as he believes this will protect mankind. On his travels, he encounters ruthless Carnegie (Oldman) who rules over a town and is after the book Eli carries. With no real form of government, the United States is a wasteland left behind by a nuclear apocalypse and is now ruled territoriality by those who have the ammunition to do so. Fallout and fallout: Being a huge fan of the Fallout game franchise, I enjoyed The Book of Eli even more because it closely resembles those games. Everything from the wasteland setting, to both the minor and major characters, to the practice and execution of scavenging are all traits familiar to both the film and the games. But even though The Book of Eli so closely resembles Fallout, it never boils over into that unwanted territory where a film becomes a parody of a game, which often happens. We are seldom shown good films which have been based on a game — which is not to say that The Book of Eli is based on “Fallout 3”, because it is probably not. Hopeless setting: No, not hopeless in the sense that the locations are rubbish and not any good. Hopeless in the sense that they appear to signify just that — a lack of hope for humanity. Set in the dusty, lifeless plains of a tarnished United States, the film conveys a complete lack of energy, which is essential for a post-apocalyptic setting. I am a big fan of these types of films (or television shows, like The Walking Dead) where, after a massive event, civilisation is fractured and scattered around rather than all holed up in one or two locations. It gives the situation an injection of realism, which is often necessary for the post-apocalyptic genre. Convincing acting: Everybody in this film pulls their weight: Mila Kunis effectively portrays a daughter desperately seeking to get away from her unrelenting father, Gary Oldman, who’s bad performances are as common as pigs flying, and is once again on form here as a dominating, angry leader who lacks compassion. The star of the film however, both literally and figuratively, is Denzel Washington as Eli. Washington gives very little up to the audience in terms of emotion, yet he still manages to make Eli appear to be a good person who the viewer wants to root for (at least I did). There is a constant intrigue surrounding Eli and his relationship with the mysterious book he carries, which adds to the character and film as a whole. The Book of Eli is very often bleak, but through the terrific performance of Washington, maintains a sense of hope and keeps the audience guessing until the very end. Concocted by the incomparable Stanley Kubrick, A Clockwork Orange tells the wacky, unnerving story of delinquent Alex (Malcolm McDowell) who, along with his band of miscreants, or “droogs” as he labels them, traverses the streets of London causing mischief and engaging in “ultra-violence”. The film then follows Alex’s impending arrest and subsequent attempted rehabilitation through a variety of unethical methods. A Clockwork Orange is set in a futuristic London, where society seems to operate slightly differently from the way society operates in the present day. Kubrick masterclass: Stanley Kubrick is without doubt one of the greatest directors the film industry has ever seen. Often adapting books rather than screenplays, Kubrick tended to focus on elevating key themes in his films and A Clockwork Orange is no different. Kubrick regarded A Clockwork Orange as, “a story of the dubious redemption of a teenage delinquent by condition-reflex therapy. It is, at the same time, a lecture on free-will”. I am nowhere near as critically competent as millions of others out there, but I do love watching and writing about films and, without knowing how Kubrick perceived the film beforehand, his words above are exactly how I perceived the film afterwards. This has nothing to do with me though, this is an example of how exceptionally good Kubrick was at connecting with his audience — an audience of varying film knowledge — through the medium of film. Malcolm McDowell: McDowell carried the film on his the whole way through, being the primary main character and the only actor who is at the centre of every significant event. I did not think it was possible, but McDowell managed to create, in Alex, a horrible, nasty human-being who I sort of felt sorry for by the middle of the film. Yes, it did not even take as long as the end. His convincing portrayal of a mad-man slowly unravelling and juggling morality is one of the best I have watched on-screen. Legacy: When A Clockwork Orange was released in cinemas back in 1971, it was withdrawn in the United Kingdom by Kubrick himself after his family were the targets of threats and protests. However it was a big hit in the United States, and to this day is critically lauded and held in very high regard by film-goers the world over. Not only that, but it had a massive impact on the relaxation of violence depicted on the big screen. For one film, A Clockwork Orange has become one of the most controversial-yet-endorsed films in history. I do not have many bad things to say about A Clockwork Orange, rather Kubrick has created a dystopian film which successfully targets and challenges issues far wider than I have even come close to discussing here — providing a social commentary on issues such as youth culture, politics and the economic characteristics of Britain. Monsters is a science-fiction drama film released in 2010 and directed by Gareth Edwards. 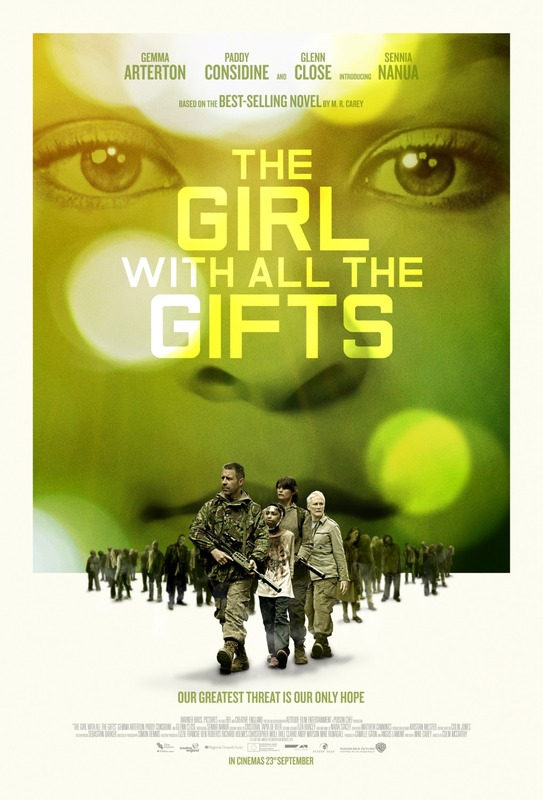 It stars Scoot McNairy and Whitney Able as a young photojournalist and wealthy employee’s daughter, respectively, who must attempt to travel across the infected Mexico to the border of the United States, in the midst of an alien-occupation on Earth. Large parts of the Earth have been occupied and controlled by some sort of alien beings, leaving certain regions, such as Mexico, inaccessible to mankind — or at least, inadvisable to travel through. Tiny budget: Gareth Edwards, in his directorial debut and working with a budget of around half a million dollars, makes this film absolutely work. By using cheaper cameras (but still maintaining a high quality) to capture digital images rather than the normal 35mm ones used in film, and filming on locations often without permission, and using passers-by as extras, Edwards was able to keep the costing down — perhaps even lower than half a million dollars. There have been, and will be in the future, many directors who have ten or even one hundred times the budget Edwards had at his disposal for Monsters, and who will not even come close to creating as good a film. Focus on drama: Very often in science-fiction films, the focus is taken away from the story or relationship between characters and is instead placed on big special effects or loud explosions. It is likely that the small budget had something to do with it, but Edwards manages to keep the primary focus of Monsters on the two main characters portrayed by Scoot McNairy and Whitney Able, and how the relationship between the two develops as the film progresses. The human relationship in a world partly destroyed by aliens is the driving force behind the success of the film. Simplicity is key: The premise of Monsters is fairly straightforward — two individuals with significantly varying backgrounds must band together in order to get home. This is by no means a downfall though, in fact the easy to follow plot once again allows the viewer to fully concentrate on the two main characters and the situation which they find themselves in, without getting distracted by unnecessary plot twists or contrivances. The less-well-known film on my list, but by far one of the best, Monsters is a triumph in film-making as it shows that with some small financial backing and enough determination, anyone can create a dramatic, engrossing film. Adapted from the first book in Suzanne Collins’ Hunger Games trilogy, The Hunger Games directed by Gary Ross, is a science-fiction adventure film set in a dystopian existence. Starring Jennifer Lawrence as heroine Katniss Everdeen, it follows her preparation as a tribute in the annual Hunger Games and her progress in the violent televised tournament, along with her relationship with Peeta Mellark, played by Josh Hutcherson. The film is set in a post-apocalyptic North America, where the land is separated into twelve poorer districts, each of which specialises in serving the wealthy Capitol in a certain way. “Ha! You lot are just a bunch of Star Wars knock-offs!” Wait. Plot premise: I am a big fan of the outline and progression of the story in The Hunger Games. Having never read the books before seeing the film, the plot came across to me as very unique (sharing connotations with Battle Royale) and even quite ambitious. 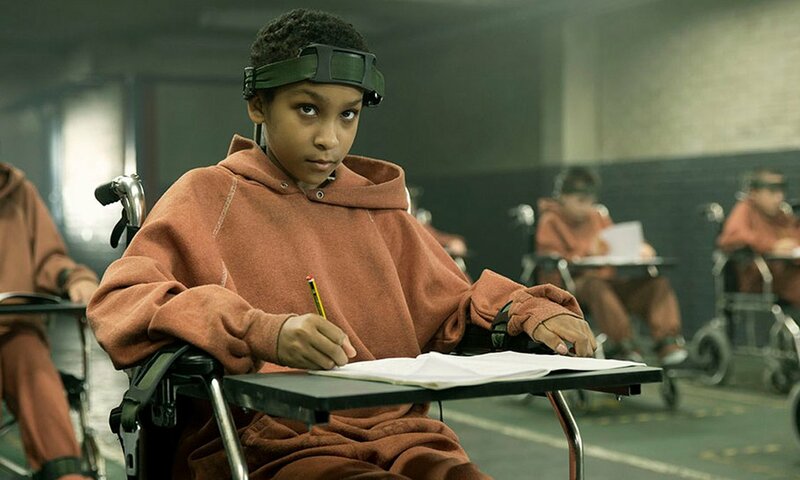 The idea that the majority are ruled and made to serve the minority is a commonly utilised premise, however the implementation of the Hunger Games tournament, particularly a tournament aimed at twelve to eighteen year olds, is an effective way to create suspense and drama. There is an underlying notion of resistance and rebellion which runs fairly unnoticed throughout the film, up until a significant moment on-screen (literally) and this gave said moment even more emphasis. All in all, the story and ideas thrown around mesh very well in my eyes. Ensemble cast: With the combination of a number of, at the time, unknown actors and globally renowned names, The Hunger Games boasts an excellent ensemble cast, and one which involves every character with meaning and on their own merits. More minor characters such as Lenny Kravitz’s Cinna (who oozes coolness and clarity) and Stanley Tucci’s Caesar Flickerman (who oozes charisma and clairvoyance) play essential roles in the story. President Snow is majestically portrayed as a despicable, uncaring leader by Donald Sutherland, acting as a convincing mastermind behind the madness. In terms of the main characters, Josh Hutcherson is very good as the uncertain hero whose confidence is lacking but who only wants to do good and not give into the system. Jennifer Lawrence steals the show as Katniss Everdeen, perfectly balancing the correct amount of determination with a level of emotion shown rarely, but significantly when the time comes. Appeal to everyone: I think The Hunger Games appeals to just about everyone — it has that adventure and action aspect for the younger audience, but also a more low-lying hostile nature in terms of young people fighting against each other to the death. Although the latter is the case, there is actually very little violence conveyed throughout the film, with circumstantial horror playing a substantial part in the unnerving nature of the film. An exceptional outing in adventure, drama and science-fiction, The Hunger Games sews each of these genres together neatly to create the ultimate depiction of a dystopian society fanciful on the surface, but hell-bent on retribution at heart. Battle Royale (2000) — This Japanese thriller directed by Kinji Fukasaku is, in essence, The Hunger Games with more blood and guts. A pretty uneasy and, dare I say, at times funny watch. I, Robot (2004) — Everybody knows this one: Will Smith versus robots. A lot of robots. A mesh of robotic body parts and entertaining action. Sin City (2005) — I actually only got round to seeing Sin City last night. Although I am still unsure of what I think about it as a whole, stylistically it is remarkable and overall very intriguing. In Time (2011) — Starring the well-liked Justin Timberlake and boasted by a very interesting concept, although In Time does not quite reach the heights it potentially could have, it is still a slick outing.